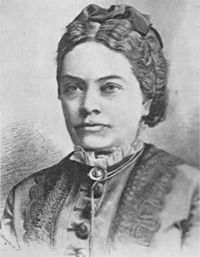 Baroness Marie von Ebner-Eschenbach was an Austrian writer. Noted for her excellent psychological novels, she is regarded—together with Ferdinand von Saar—as one of the most important German-language writers of the latter portion of the 19th century. She was born at the castle of Dubský (Graf von Třebomyslice) family in Zdislavice near Kroměříž in Moravia, Czech Republic, and died in Vienna, Austria. She is credited with the famous aphorism "even a stopped clock is right twice a day.